This is the year of Baby. Most of the babes arriving have been born to my friends, but the latest in the bunch was born to a friend of Regan. Regan and the proud new papa are former college roommates who are now co-workers and frequent Xbox Live players. In thinking of a “practical” baby gift to make, Regan agreed that this was just the thing. A stuffie for play dates with dad. It’s hardly original, but was definitely a fun object to make on the fly. Regan was more than happy to help with art direction. If he’d had full control it would have come with a battery pack and flashing lights. 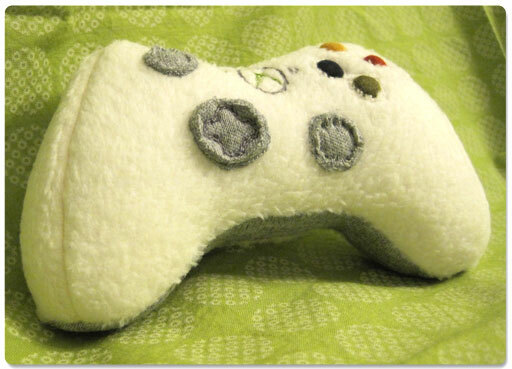 Instead, August only got a plush version of the Xbox game controller. 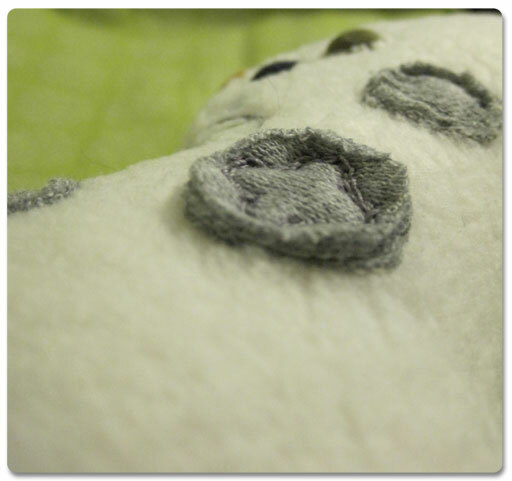 Even though it’s squishy and soft, it’s not nearly as cuddly as August. That wee babe is the stuff. Wow, cnorton, that is amazing! That’s totally reeking of awesome!